It’s winter, it’s cold and I suppose there is no getting around that other than taking a vacation somewhere tropical. 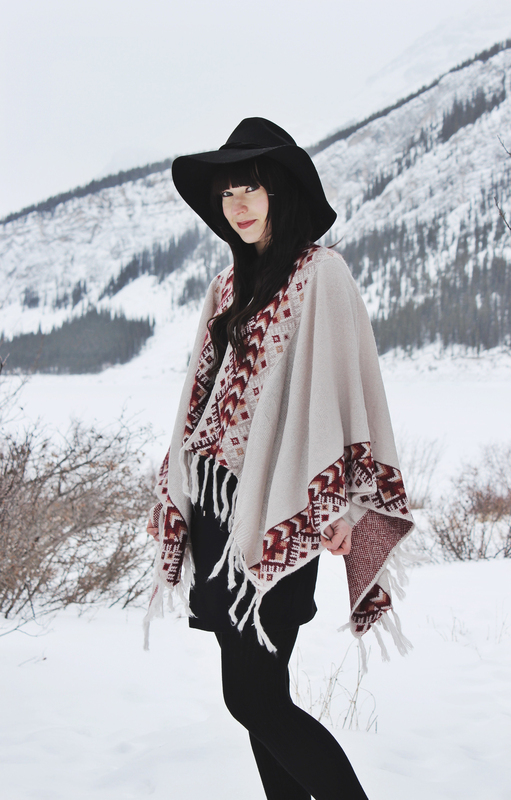 In order to get through winter comfortably, i’ve been stocking my closet with cozy cardigans and ponchos. 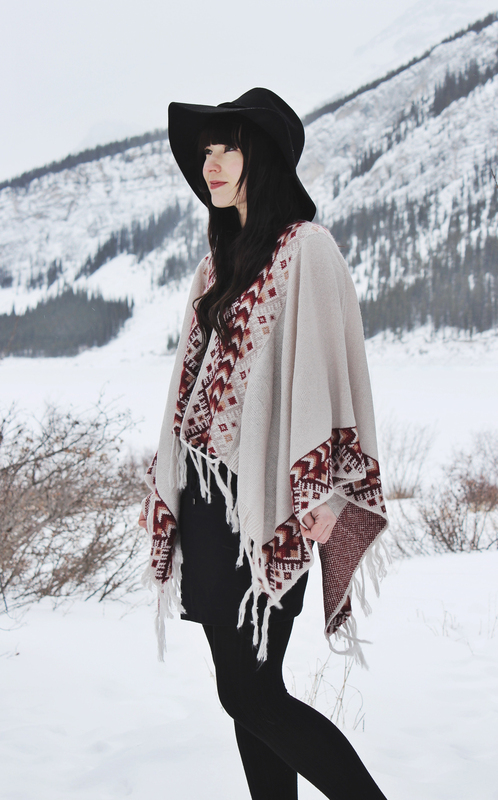 This Lovestitch poncho is one of my favourite new additions. 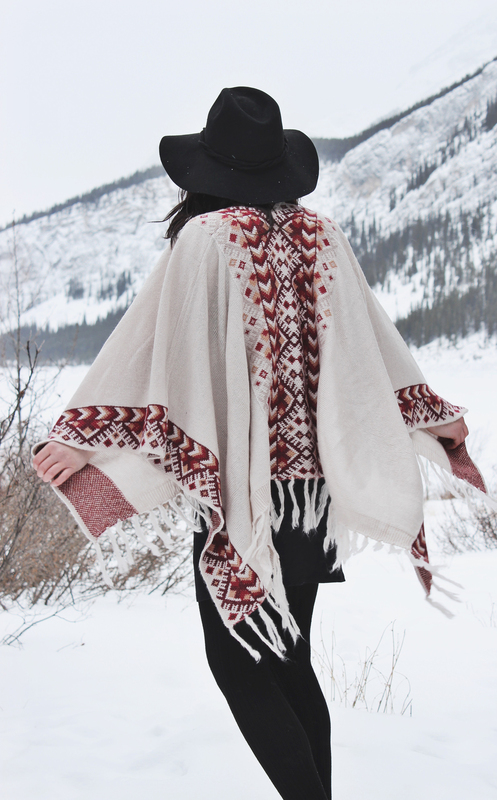 It’s so cozy and has such a cute pattern on it, it has everything I could ask for in a poncho. I kept the rest of the outfit pretty basic with a black dress, tights and a black hat to top it off. Perfect look, dear! Just amazing photos! Very cute! 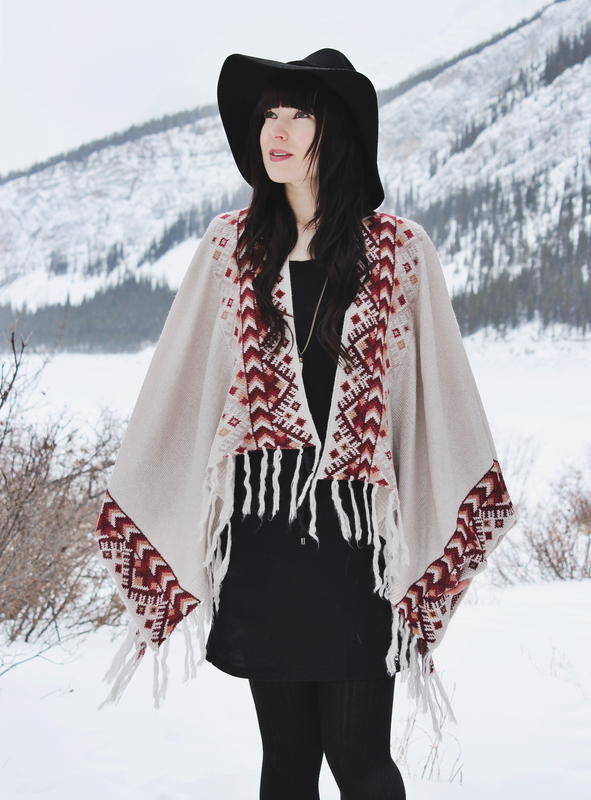 I love how let this poncho shine by pairing it with black. The whole look is very wintry! Oh, this is beautiful! That backdrop is stunning and I love your poncho. And much agreed, it looks great set against basic black.